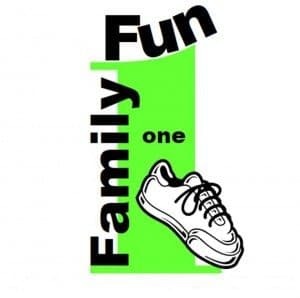 BATAVIA, Ohio –The fifth annual Clermont CAN Family Fun 1 Run/Walk will be held Saturday, Oct. 11, at Chilo Lock 34 Park, 521 County Park Road, Chilo, Ohio. This free one-mile run/walk, promoting healthy living, is for the whole family and all ages. Registration begins at 11 a.m. with the run/walk at 11:30 a.m. A health fair will be held from 11 a.m.-12:30 p.m. Health screenings will be offered including blood glucose testing and BMI measurements. The Ohio State Extension Office Family Nutrition Program will offer a food demonstration. The Clermont County Park District Fall Festival will immediately follow the walk/run and end at 4 p.m. Free Family Fun 1 T-shirts will be available on a first come first serve basis. Raffle prizes include Kindle Fires, iPod Touches, FitBit Flexes, $50 Walmart gift cards, and an adult bike from Kevin’s Bikes and Sales in Sardinia, Ohio. The Fall Festival events include a hay wagon ride, launch the pumpkin, face painting, storytelling, and refreshments. For more information about the event, call (513) 735-8421. The Family Fun 1 is sponsored by Clermont County Public Health, Interact for Health-Join the Fun, and the Clermont Coalition for Activity and Nutrition (CAN).